Right, I’m trying something NEW here! Just a quick round up of a couple of things I have been sent to try and a couple of things which I found myself on trips ‘down the town’ as we say up here. Actually, this is kinda based on 'New in my Kitchen' a feature by my good friend Jac on her blog Tinned Tomatoes. She gets sent loads of things to try out and does regular round-ups. First up, when I was in London recently, I met up with a lovely woman called Farrah who makes the most delicious product called ‘Moose Maple Butter’. I tried it at the Food Bloggers Conference in June and contacted Farrah, to meet up in July, when Disneyboi and I were back down, to collect a pot. Moose Maple Butter is a spread made from organic butter, grade A maple syrup and a pinch of sea salt. Imagine spreading the flavour of pancakes on your toast? It’s like that, but so much better. I will be baking soon with this product so keep your eyes peeled. 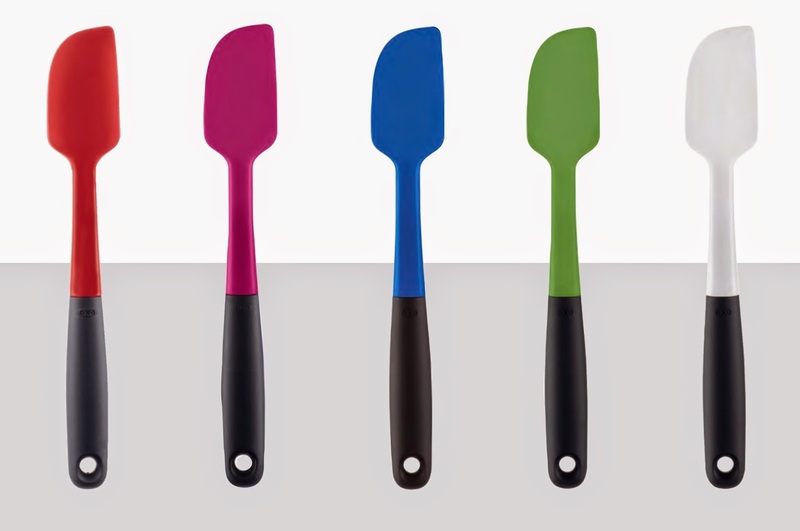 My friends at OXO UK sent me a couple of their new silicone spatulas to try out. They come in two sizes and a wide variety of colours (although none in my favourite orange sadly), I chose white and green. They are heat resistant up to 315C, have a non-slip grip and won’t discolour. I used these in a bowl of quite firm cookie dough and found them sturdy enough to cope with the stiff dough, but soft enough to curve round the side of the bowl. As far as spatulas go these are really rather good! 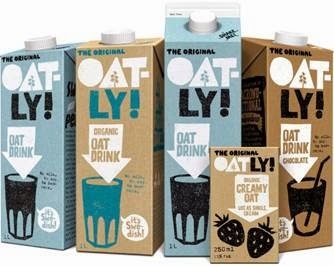 Again, whilst at FBC in June, I came across a product called Oatly. It’s like milk, but made from 100% oats packed with protein, fibre and added calcium. Good for those who can’t take or are trying to cut down on their lactose levels. The range includes original, organic, chocolate flavour and creamy oat, which is like a single pouring cream. Oatly kindly sent me some vouchers to try out the range. I have made ice pops with the chocolate flavour, been mixing the original with some cold-brewed coffee for a refreshing latte and best of all on my cereal. I love this stuff and will be baking with it soon. Keep an eye out. I recently picked up a product in my local Home Bargains called Baco Press 'n' Seal. I’d seen it advertised in the States and was glad to find it here – although strangely it’s not on their website. It’s a multi-purpose, sealing film which you cut to size. It has a really tight seal that clings to itself and lots of surfaces such as wood, plastic, metal etc. when pressure is applied. I used it to store cookies first off. But it has so many uses – sealing open cans, half-full pans, wrapping sandwiches, meats. It can even be used to seal paint cans, sealing wet toiletries in a wash bag etc. Let’s hope it’s available in more places soon! And lastly – I found this in the supermarket last night – Malteser Teasers Spread! Yes – spreadable chocolaty, malty goodness. Full of little crunchy malt balls, this spread is going to be BIG! Disclosure Statement: I was sent some of these items free to sample. I have not been paid for this post and any opinions expressed are my own. I like the seal, must look for that. The malteser spread looks good, but I am feeling faint thinking of the extra calories I really can't afford. Yes to Oatly, Yes to Mooooose, Yes to the spatulas! Keep me away from the malteser spread. It could become obsessive and as I am already addicted to Mooose that's a very bad thing for my waitsline! Can't wait to see what you whip up with the Moose Butter! Oh that Maltesers spread looks dangerously good! Love the sound of the Moose butter too... yum! Malteser spread?????? Would it be wrong to eat it from the jar with a spoon? Maple butter will be great for autumn baking. Also loving the malteser spread. 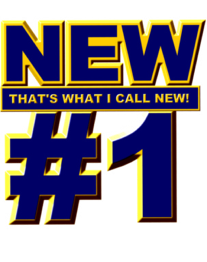 I may also have to copy your that's what I call New - great idea! Ooh, maple butter and the red spatula for me please. Like everyone else, I'm trying to ignore the malteser spread. I'm afraid my brain shut down when I got to Malteser spread... Swoon! Malteser spread? Ok, my new main goal in life is to find this over here in Canada! !